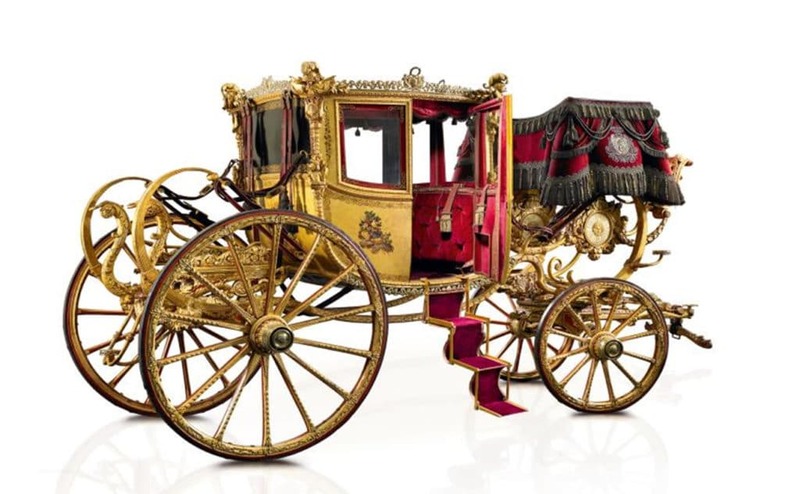 One of the first victims of the revolution brought about by the invention of the automobile were carriages, and with them an entire microcosm of skilled workers, from equerries and coachmen down to the humbler ostlers and grooms. 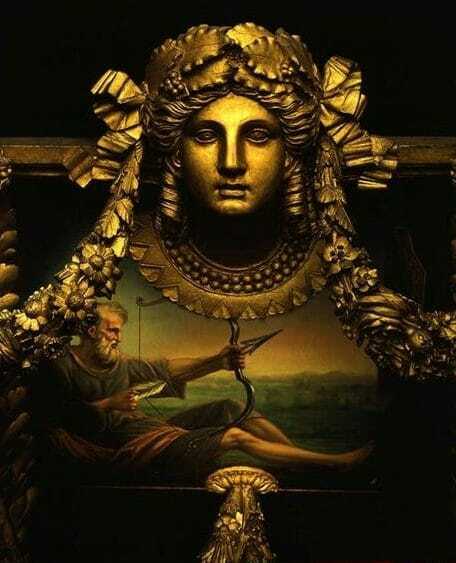 Theirs was a densely layered hierarchy which had existed for eons, since the discovery of the wheel, comprising an extraordinary wealth of history, culture and craftmanship. 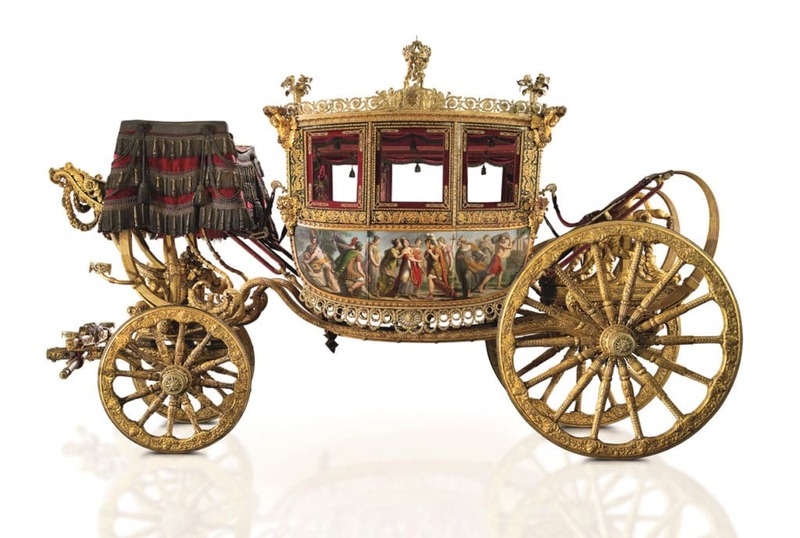 All the grand European courts – and later the prosperous burghers – moved around in more or less luxurious carriages. 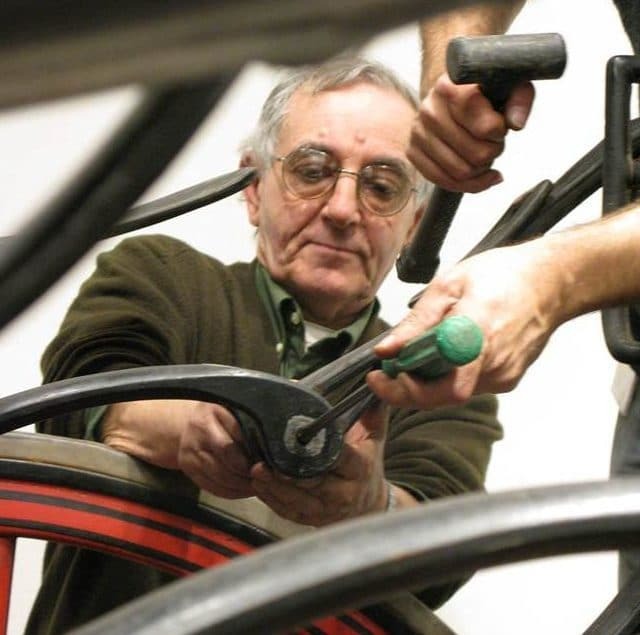 Our late friend, the learned and passionate carriage restorer, Ettore Aspetti, continued to be amazed all his life at the sheer number of different materials and construction techniques used on carriages, saying no other objects could touch them for variety. 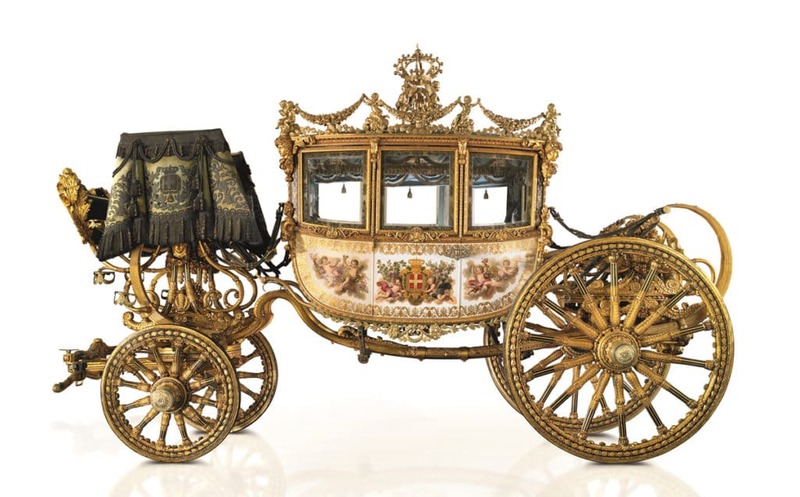 As carriages fell into disuse, the task of preserving and protecting them grew – a task made even more complicated by the fact they are often very large, but also delicate and sensitive to the wear of time. 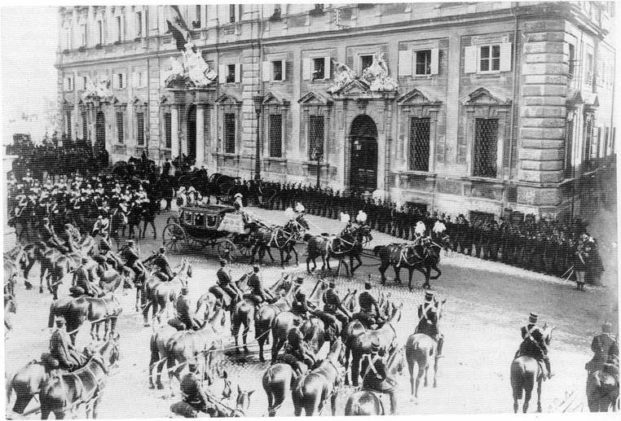 Our greatest experience in this field comes from the fifteen years we have been caring for the vast collection of carriages of the House of Savoy held by the Presidency of the Republic of Italy. 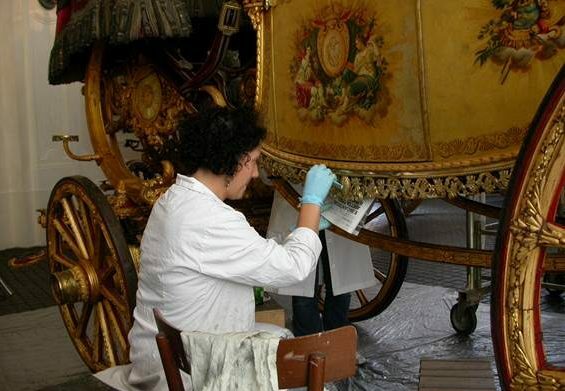 This has involved complex and varied interventions which we have described in the section of our site dedicated to preventive conservation: actual hands-on conservation treatments are only one of the many components of a long-term project for preventive conservation and scheduled maintenance. 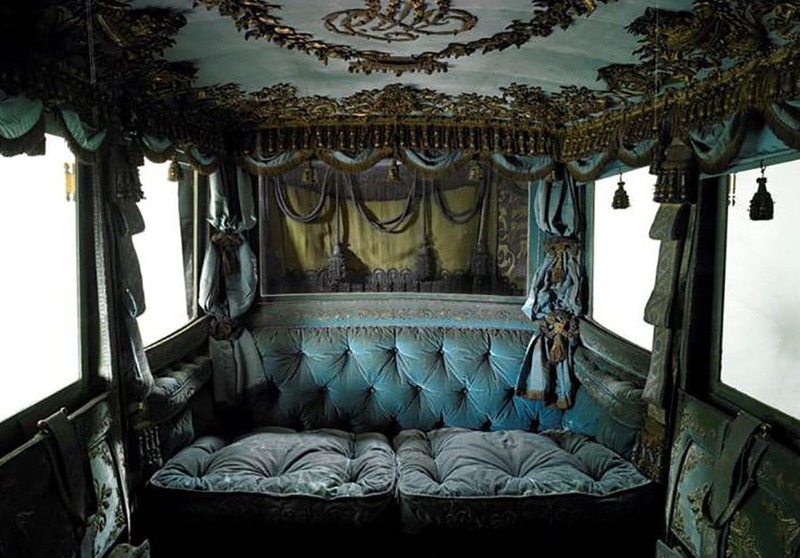 Since 2006, we have treated thirty of the most important carriages – historically and artistically speaking – out of the one hundred and five in the collection. Right from the start we set ourselves the task of devising a best practices approach for these complex objects, dealing with their special conservation needs with full respect for the original materials. In following these aims we studied other cases and evaluated alternative approaches, finding in general that in the situations examined, original materials were replaced by new parts without respecting the originals’ characteristics. At that point we decided to create an entirely new treatment protocol for the field. 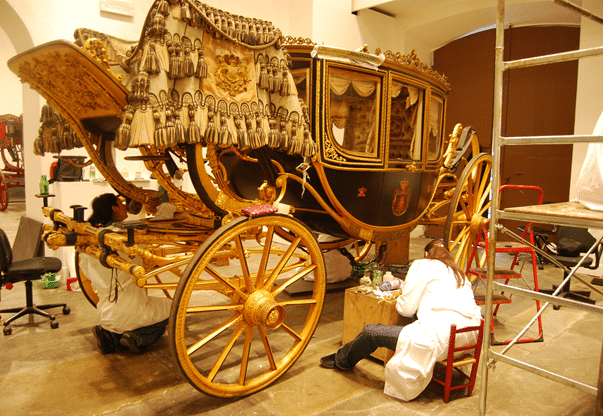 The restoration of the four Royal Berlins of the Gran Gala, the most highly decorated and important carriages of the collection, was the perfect opportunity to implement treatments which show that the signs of passing time cannot be completely erased and the eye should get accustomed to seeing wear as an integral part of the history of these vehicles. 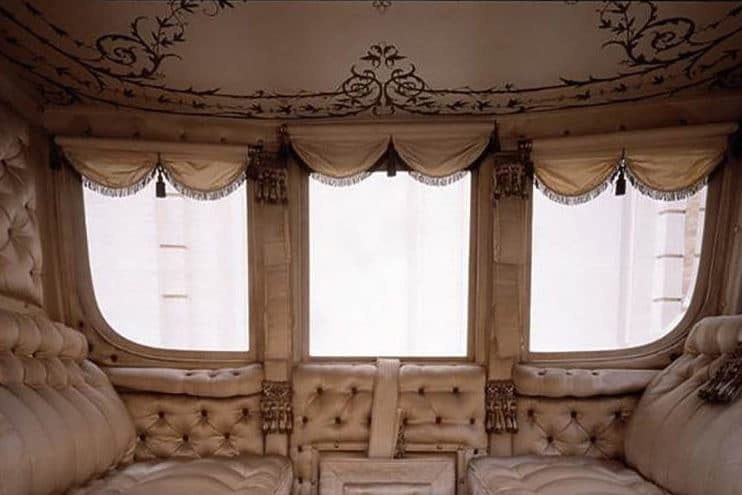 At the same time, we removed any materials which were accelerating degradation and recovered the legibility of both the decorative aspects and structural components of the carriages. 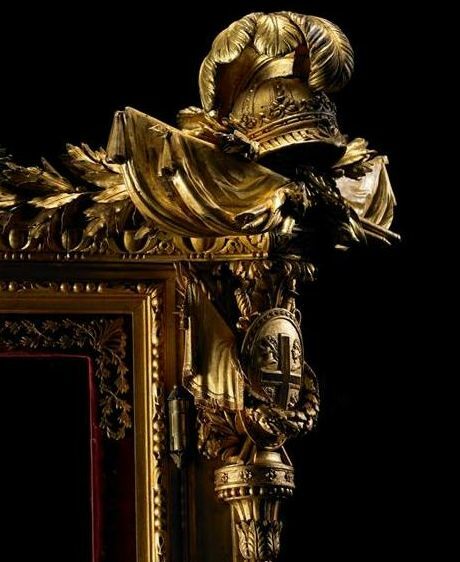 The most demanding phases of all the interventions were the consolidation of the structure and decoration, and the cleaning, due to both the complexity of the decorative surfaces as well as the large numbers of materials involved. For consolidation of decorations we used animal glues and polyvinyl resins, while for the cleaning we developed special solvent gels with varying polarities and times of application. 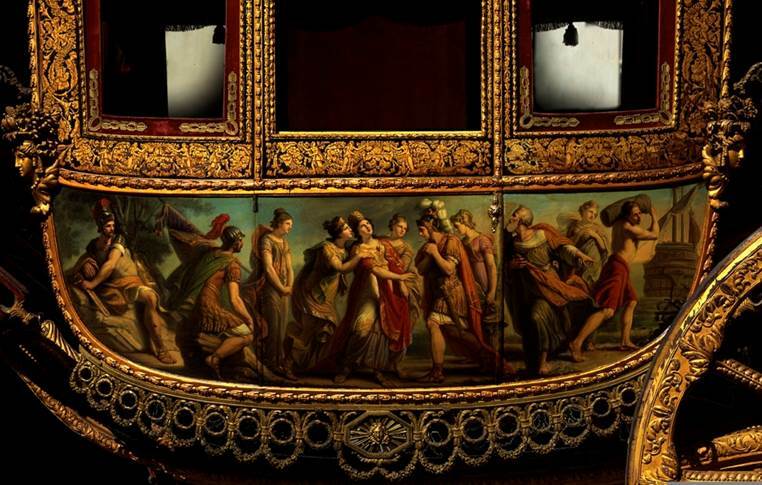 We are particularly pleased with the cleaning of the Telemachus panels with their full recovery, with their original patina, from under layers of darkened shellac and oil-resin varnishes. 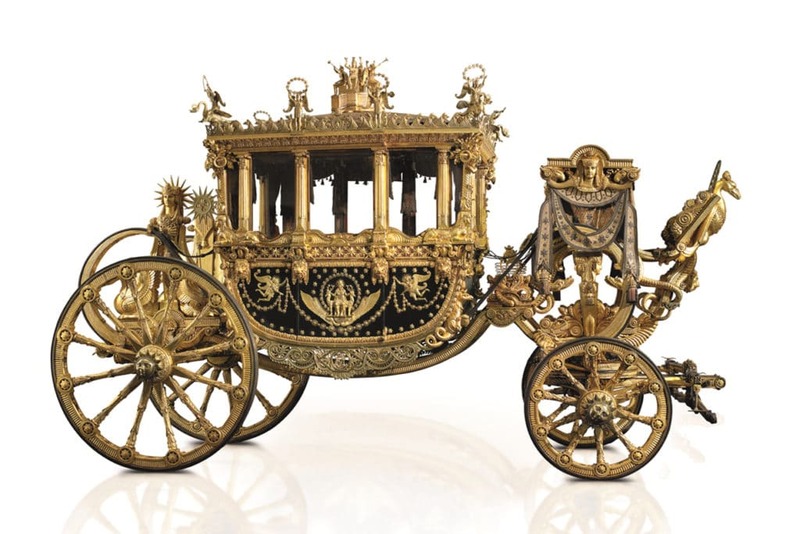 Another source of satisfaction was the removal of all the imitation gold from the gilding of the Egyptian carriage. 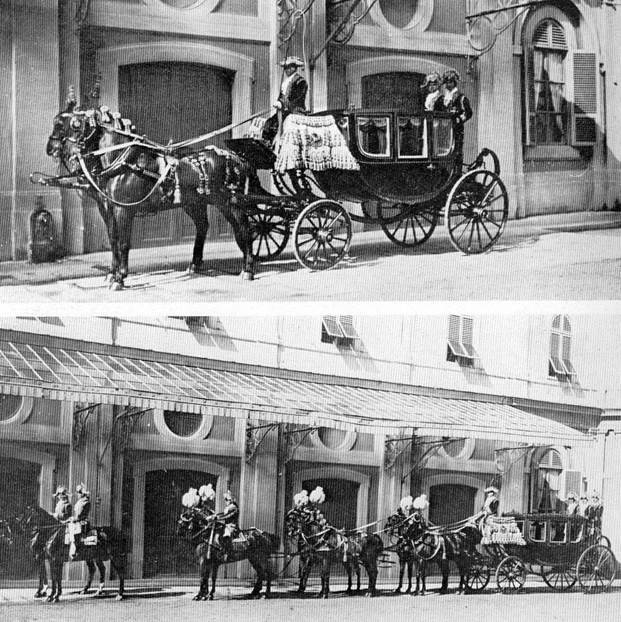 For these four superb carriages we aimed at a selective aesthetic presentation, not retouching all the dense net of abrasions and losses in the painted surfaces, but rather leaving the signs of wear due to time while simultaneously providing the coherent and unified reading of the carriages. Other particularly challenging issues involved the leather and fabric upholstery. Depending on the level of deterioration and damage we chose different solutions, always seeking to preserve the original materials thanks to collaborations with other specialists, in particular for textile conservation. Where recovery was impossible, we sought the best solutions in replacing leather and textile coverings, selecting materials best suited to recreate the originals, both in terms of design, shape and proportions. 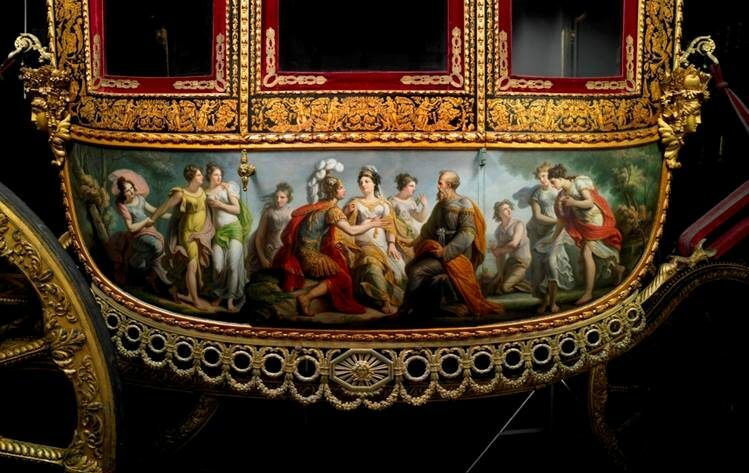 The problem of substitution also arose in the cases of the carriages which had badly damaged decorations and paintings. In these cases, we always aimed to use materials and techniques which were reversible to reconstruct decorations where possible.